When Life Changes in an Instant…Again. Sometimes life can change in an instant. And then it can change in an instant again. 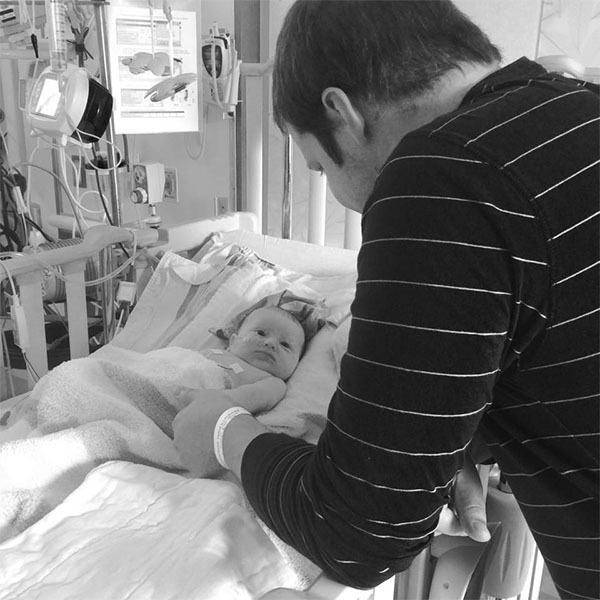 As a family we’re dealing with a stage 4 colon cancer diagnosis for my 30 year old husband, and our infant son needs a liver and kidney transplant. If you have been a CenterCutCook reader for over the last year, you already know that Ryan and I are no strangers to curveballs. 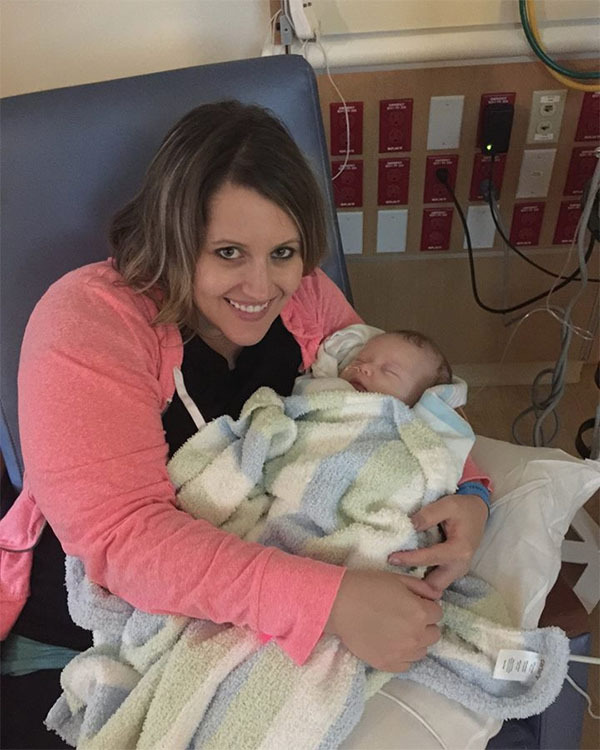 After all, last December we found out we were expecting our first child, only to discover a week later that Ryan at 29 years old had colon cancer. A few months later, we learned that not only did he have colon cancer, but he had stage 4 colon cancer with spread to his lungs and lymph nodes in his abdomen. This past August our little miracle boy was born. You met Miles, right? He was born full-term, healthy and happy. On October 5th, I was getting him ready for bed and went to change his diaper when I saw him have a seizure. We rushed him to the emergency room, thinking that perhaps he had some type of seizure disorder. Imagine the shock we felt when we were told that our little boy was in end-stage kidney failure. After two ambulance rides, and three different hospitals, it took a week but we finally had a diagnosis: Primary Hyperoxaluria Type 1. It’s a very rare recessive genetic disease meaning both Ryan and I had to carry the gene. When I say rare, I mean… in infants it occurs around one in five million. Miles’ sodium, something that the kidneys regulate, had been dangerously low (110 for anyone who is familiar with sodium ranges) and caused the seizure. The thought of my sweet baby boy needing a kidney transplant was overwhelming enough, so imagine how we felt when we learned that not only does Miles need a kidney transplant, he needs a liver transplant too. You see, Miles was born with perfect little kidneys. The problem all along was with his liver which caused the kidneys to fail. 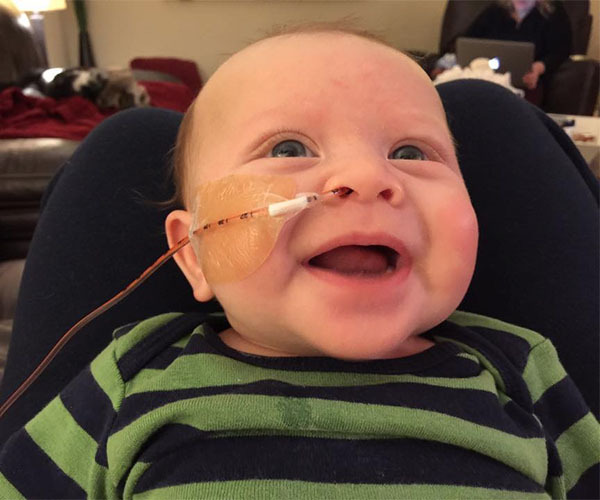 We spent four weeks in the hospital trying to get Miles stable and started on dialysis. 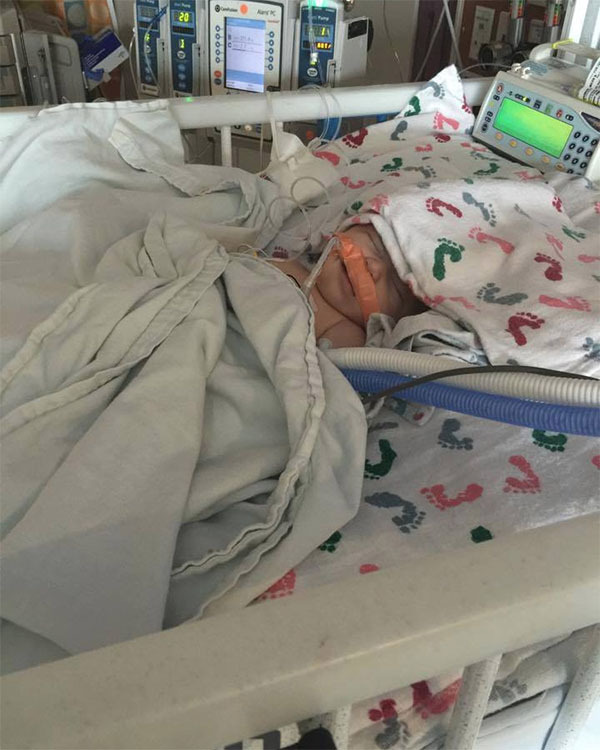 He has little to no kidney function, so dialysis is keeping our sweet little boy alive. Modern medicine is amazing, and for right now I am able to hook him up to dialysis at home each night for 10 hours while he sleeps. Where are we now? Well, we have been home for almost two weeks. Miles is now three months old and the goal right now is to get him to grow. Before he can get transplants, he needs to gain weight. Easier said than done when kidney failure is involved. He came home with a PICC line and an NG tube for the nine different medications that he needs. Our days are hectic between dialysis, administering medicine, and keeping on top of taking his blood pressure and weighing him twice a day. While it is going to be a long road over the next year as we work towards getting him a liver and kidney transplant, it is doable and I’m confident our sweet little boy will eventually be okay. So… to recap. Yes, my husband has stage 4 colon cancer. And yes, my baby boy needs a life-saving liver and kidney transplant. Yes, in case you were wondering, I’m a little stressed out. :) Despite the stress, we have seen so many blessings along the way. Tender mercies, God winks, whatever you want to call it, we have experienced them first hand and know that eventually everything will be okay. If it’s been a little quiet around here, and I haven’t answered your questions, now you know why. Thank you so much for the continued support as we work through two major hurdles in our lives. I’ve said it before but I’ll say it again…. life can change in an instant. Laugh hard, love harder, and always remember to LIVE your best life, despite any struggles that may come your way. I document our journey over on the Team Ryan page on Facebook. Join us here.